Nokia using Windows OS Phone on Smartphone. After experiencing a slump since last year, Nokia's Symbian OS has left that has accompanied Nokia for over 10 years. Nokia then signed a contract with Microsoft to use Windows Phone Operating system on Nokia smart phone devices. Nokia hopes the cooperation with Microsoft to restore the glory of Nokia as the past. Similarly, Microsoft is already big enough to spend money to develop a Windows Phone on Nokia. So what if Windows Phone is not successful in the market? 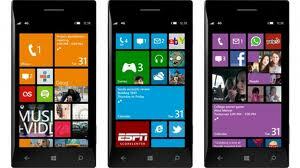 Current Windows Phone 8 and Nokia were not able to do much to face the dominance of Apple and Android on the market. Many are predicting Nokia also will adopt the Android OS if the cooperation with Microsoft failed. Similar statements were expressed by one of the directors of the recent Nokia on Finland TV station. "Nokia is very pleased to team with Microsoft, but we have a backup plan for all Windows Phone OS Android if it fails," said Risto Siilasmaa. The reason why Nokia does not always hold Android is the amount of funds disbursed by Microsoft to Nokia, Nokia is still trying to stay on Windows Phone 8.